Yesterday while at the Pinckneyville American Heritage Thresherman’s Association tractor show, the wind blew, the thunder boomed, the lightening crackled and the rain poured. Safe and sound under Annie Jansen’s extended camper awning I sat secure enjoying the pounding of the rain. 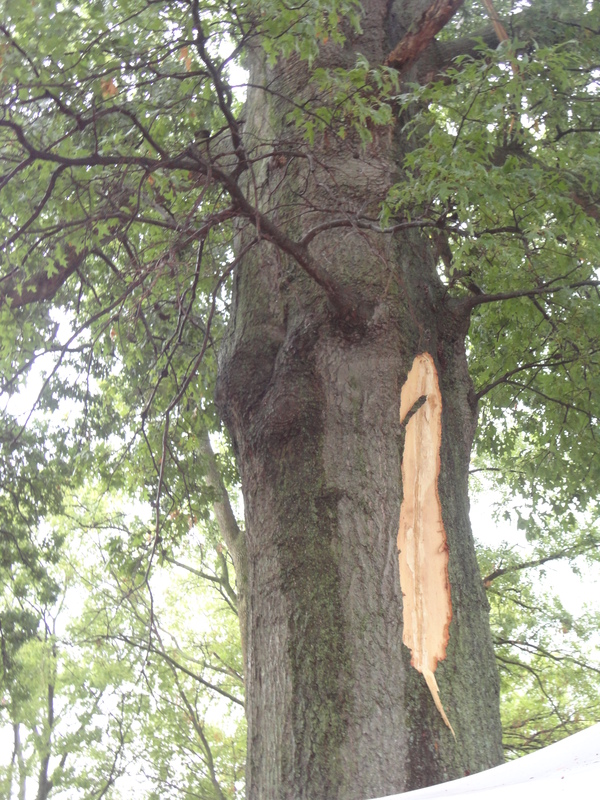 Then the big boom came when the lightening hit a nearby tree splintering wood. The poor vendor sitting near the tree had quite a scare. The tent beside the tree even had scorch marks on it. The rain came down for a while adding much needed moisture and a bit of excitement to a very cool show. Being a farmer’s wife, getting wet didn’t bother me, I just didn’t want to get fried! The American Threshman Association has two shows each year. One is in August and the second, the Fall Festival will be held October 19, 20 & 21st. The show is held at the fair grounds in Pinckneyville, Illinois. This town is a bit sentimental to me because I was born here and my dad taught school in Nashville many, many moons ago! I survived the storm, had fun with friends and praised the Lord for the much needed moisture.